I can’t always say I have had a passion. Don’t get me wrong, there have been times where maybe a sport, new job or even a new girlfriend made me temporarily passionate… but it was always short lived. In college it was having fun and doing good in school. After college it was focusing on my career and coaching athletes. …. And the answer was just crickets. It was at age 28 I realized I didn’t’ have a passion or purpose. To drift: to wander aimlessly. That is most people, most days, most of their lives. According to a Deloitte study, only 13% of employees felt “Passionate” about their job. In other words, it is safe to say that a large amount of adults have not identified their passion, or found their purpose. So instead of pursuing a passion, a cause and a purpose, they drift through life. Most days are left largely unplanned, becoming more routine by the week. One month quickly becomes one year and one year quickly becomes ten years and in a blink of an eye 10 years just disappeared. The world has enough people without a passion already! How to identify your passion 101. As I alluded to in the beginning of this article, I struggled to find my passion from age 18-28. I didn’t know what I wanted so I went with the flow of life and just bounced around doing things I thought I enjoyed. Truth be told my focus changed every two years because I really wasn’t sure what I wanted to do. Then something changed. I realized I needed to take some action – which was being an entrepreneur. Helping others, problem solving and dealing with challenges – all characteristics of entrepreneurs – was what I was searching for. See also: Are You an Entrepreneur? Truth be told I love it, it is something I am passionate about and I wake up most mornings inspired. That being said, it isn’t always easy, but it is worth it! 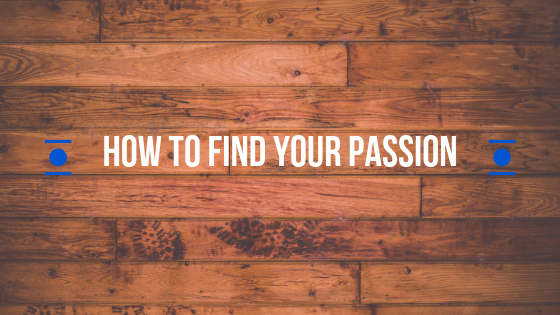 Here is how to identify your passion. Brainstorm a huge list of hobbies, activities, jobs, and things you like. Then narrow it down to a top 10, then top 5. Start taking action & don’t give up! Let’s just say you identify running as a top 5, you admire someone because they’re fit and you realize there is a local running club nearby. Join the running club. As you get more involved with the running club you might decide you want to start your own to support a cause. You decide that your cause is to help people who struggle with addiction and you figure running can be a positive outlet. And before you know it, the hobby you once had… is now a full fledged passion that is impacting others. Just remember, the smallest impact is still an impact. Whether you find a passion that influences millions, or maybe just a friend… you were able to accomplish something. And that is what having a passion is all about! Josh is a former High School Athletic Director and coach who founded Money Life Wax in 2017. After making the choice in 2016 to focus more effort on his entrepreneurial endeavors, Josh created the personal finance site to help millennials with student loans. With an emphasis on money and finance behavior, Josh teaches others to realize there are other ways to make money and be happy in the 21st century... it just starts with being financially stable.